Hello and welcome to a special programme marking the 70th anniversary of the end of the Second World War. Joining me in the studio today is noted historian and author Professor Jan Rychlík. Rather than simply do the obvious and discuss the end of World War II, I thought it might be interesting to focus on the efforts of the Czech resistance throughout the duration of the war. 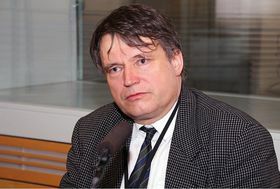 Jan Rychlík, photo: Šárka Ševčíková Professor Rychlík, thank you for joining me. Let’s begin with the mobilisation in 1938. Czechs were ready and willing to fight, and then suddenly the “Munich Dictate” – as it is known here, not the “Munich Agreement” as it was called in the West – basically orders Czechoslovakia to lower its arms and open its borders. So what happened to all that energy that was ready to fight? Because there were some in the military who were saying: let’s just fight, even if we lose. In the brief period in which the Munich Agreement was functional, and the reduced Czechoslovakia existed – before the establishment of the Protectorate following the Nazi invasion in March 1939 – were the Czechs willing to learn to live with it? I saw a map containing the slogan “Malá, ale našě”, meaning “It’s small, but it’s ours...”. So was there a sense of: we hate it but we’ll learn to live with it? How did the resistance build up? Was there already a resistance during the 1938-39 period? And in March 1939, the Nazis breached the new indefensible borders of Czechoslovakia. We know that despite the lack of fighting by Czechs, in the early days of the occupation there were boycotts, student demonstrations – the most famous of which led to the death of Prague student Jan Opletal. “This was at the end of October 1939. It means already after the outbreak of the War [in September]. October 28 is a national holiday marking the Czech Independence Day of 1918. And of course, during the German occupation, there were no celebrations – it was banned. Despite this, in Prague and other large cities, spontaneous demonstrations against the Germans erupted. 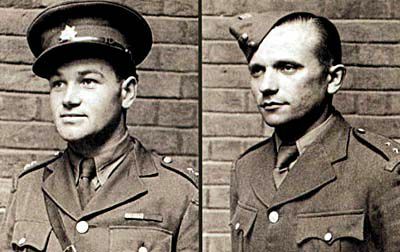 Because the Czech police did not interfere, the German Schutzpolizei, and then the army, intervened and shot two people: one worker, labourer Vojtěch Sedláček, and one medical student Jan Opletal, who later died in hospital. And his funeral, which took place on November 15, turned into another demonstration, and the end result was that two days later, all Czech universities were shut. Nine students were shot without trial. And about 1,200 were taken as hostages to the concentration camp of Sachsenhausen [in north-east Germany]. The initial Nazi plan for the Protectorate was nowhere near as radical as, say, the plan for Russia or Poland. 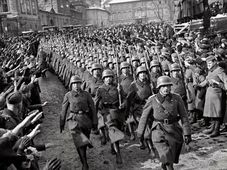 The Czechs were going to be slaves, gradually Germanised, and for the duration of the war, they were to work to help the Reich. Under the first Reichsprotektor, Konstantin von Neurath, it wasn’t a hugely oppressive regime, was it? Allowed to speak a different language? Not being Germanised? “Officially. 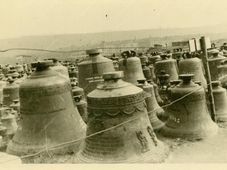 In fact, the Germans were aware that this was not something which would be attractive for the Czechs. They had no illusions about that. The real plan, which was secret, was worked out by Konstantin von Neurath. He was an old diplomat in the imperial mould, and at one time he was even Minister of Foreign Affairs. But he was a nobleman, who had a relatively light hand in terms of his relations with the Czech administration. He said: part of the people will be gradually Germanised; part of them moved out; and part of them will be exterminated. But, this plan will only be realised after the victorious war. Because right now, we need the Czechs to work. We had very important machine factories, industrial works, munitions factories, like Škoda works in Pilsen. And, of course, Nazi Germany didn’t have German workers available to work there, because they had been sent to the eastern or western fronts. Why was it felt by Hitler that the Czechs needed a firmer hand? Was it the resistance, or were they doing a proverbial slow-walk and not being enthusiastically productive enough? Meaning what? What was he allowing? Because before then, the communists viewed the conflict merely as an imperialist war. 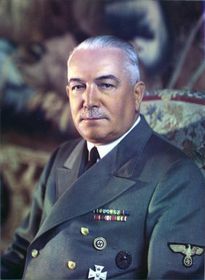 President Beneš set up a government in exile in the United Kingdom. And in the Protectorate, the resistance established the ÚVOD (The Central Leadership of Resistance at Home), which was an umbrella group of various other resistance organisations. So how did they operate? Because the most effective thing they did was not sabotage or blowing things up, but rather it served as an intelligence network, is that correct? “Exactly. ÚVOD came to into being in February 1940, after the arrests of the members of three previous resistance networks. These three previous non-communist organisations – the first was called Obrana národa (Defence of the Nation), which was a military organisation created by former officers, both active and reserve. This was set up mainly for intelligence purposes, and preparing for a military uprising at the appropriate moment. The second was called Politické ústředí (Political Centre), which was a kind of shadow, clandestine government, comprised of the main pre-war Czech political parties. This was set up to have a political purpose – at the appropriate moment they would assume power in the Protectorate. And the third was a left-wing, mainly Social Democratic and trade unionist organisation, Petiční výbor Věrni zůstaneme (We Remain Faithful). 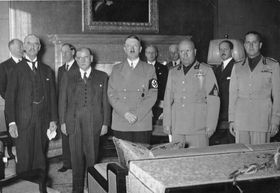 In the beginning, this was simply a group of people signing petitions against the capitulation to Germany, and then they continued as an illegal clandestine group. So Czechs were listening-in in cafes; establishing relationships so Nazis might talk; or were there women getting drunk with German officers in bars... How did the network collect intelligence? Edvard Beneš, photo: Library of Congress “Well...[laughs]...because the resistance was mainly comprised of former officers and people who had some military training, so they didn’t need to go to such lengths. It’s not like James Bond. For example, it was enough to simply make notes about the trains going eastwards – to count the cars and observe what was going on. To evaluate the situation. Even today, most intelligence work is coming from open sources, not clandestine ones. How did the information then make its way back to London? Were there specific resistance members who had hidden radio transmitters and receivers, sending coded messages? The story of the two men is well-known. But what about those Czechs who assisted them. As soon as they parachuted into Nazi-occupied Bohemia, they had to make contact with the underground. They volunteered anyway. They were prepared to do that. Sokol is a kind of sporting organisation. 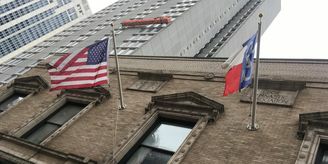 So they just knew that two Czechoslovaks had parachuted in. But they didn’t know what they were doing, so there was no risk of leaks. So once the assassination was carried out [in Prague’s Libeň] the two men went into hiding. And they ended up in the Cyril and Methodius Cathedral. “Yes, this was an Orthodox church. And they were hidden there with the assistance of an Orthodox priest, who was part of the resistance. Of course, Father Vladimír Petřek later denied being in the resistance during his trial [he was executed by firing squad in September 1942]. But he had good reason – no defendant in such a scenario is obliged to tell the truth. There was also clandestine assistance from an Orthodox bishop, Bishop Gorazd – Matěj Pavlík was his given name [also executed in 1942]. Is it fair to say that after 1942 the domestic Czech resistance was essentially smashed as a result of the post-Heydrich assassination reprisals? 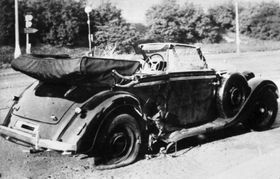 What were some of the other major resistance acts other than the assassination of Heydrich? Were there any acts of sabotage or anything like that? “Yes. 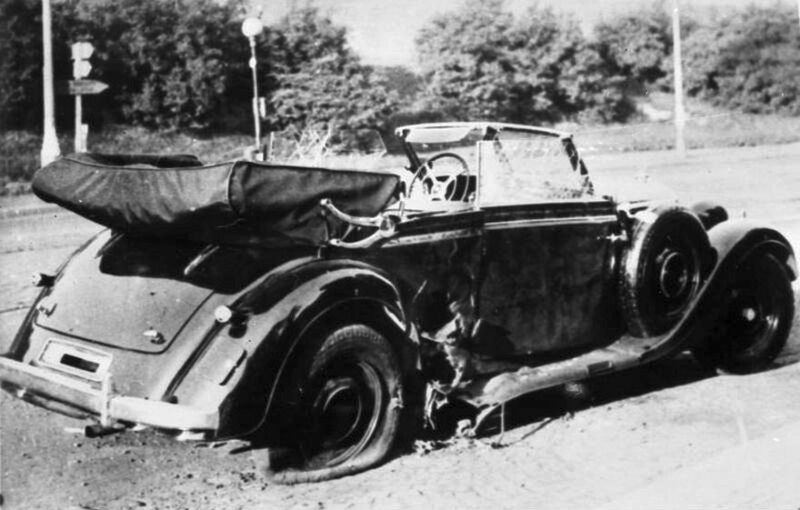 But of course it is very difficult to evaluate this, because after the war, as often happens, every theft or misunderstanding was claimed to be an act of sabotage against the Nazis. It is like today – everybody who was prosecuted during the communist regime says that they were persecuted, when very often they were common criminals who would be arrested anyway, because no state can tolerate that kind of criminality. 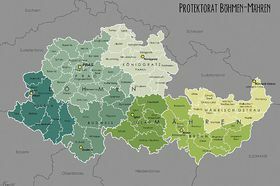 But at the end of the war, I think that the most important resistance activities were found in a partisan movement, which started in the Beskydy mountains on the borders of Slovakia. “The Czech Republic has mountains, but we must keep in mind that these mountains are in the Sudetenland. There were no mountains in the Protectorate. And no woods where partisans could hide-out. But there are mountains at the Slovak border. On August 29, 1944 the Slovak National Uprising began. 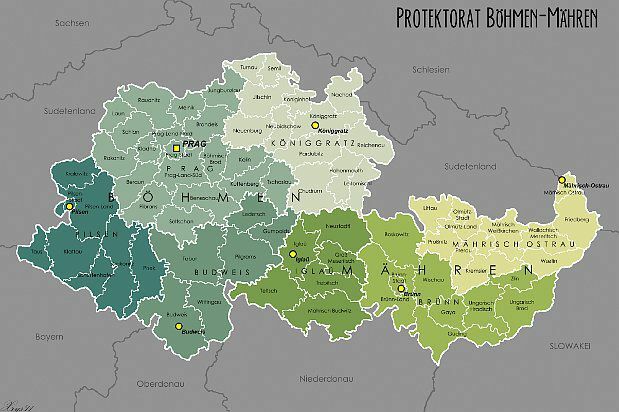 Initially, around 2,000 people from the Protectorate crossed over into Slovakia [to aid the uprising] despite the fact that anyone caught was tried and shot. And then one Slovakian brigade crossed from the border into the Czech Beskydy mountains. This was the guerrilla 1st Czechoslovak Partisan Brigade of Jan Žižka. And then another brigade, the 1st Czechoslovak Partisan Brigade of General Milan Rastislav Štefánik [both trained and deployed from Ukrainian territory through the Czechoslovak government in exile]. Jan Kubiš, Jozef Gabčík “Well, it is always like that. Always the majority of the population is passive. 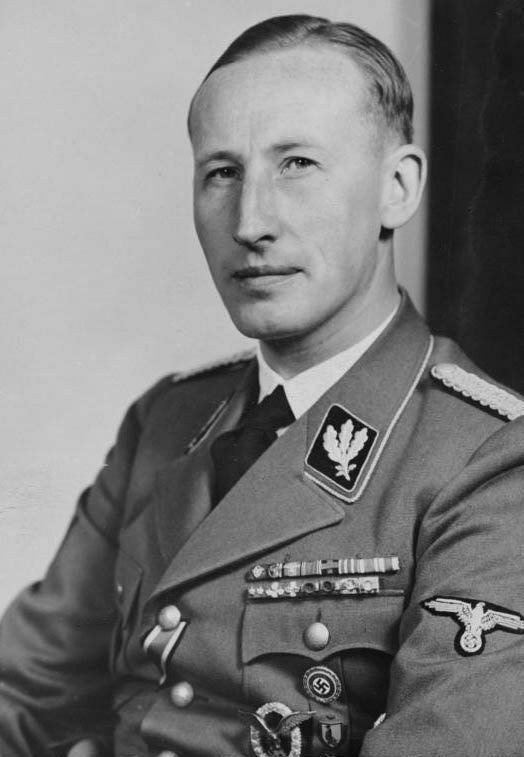 When Reinhard Heydrich came to Prague he made a secret speech to fellow Nazi dignitaries here. And he said that we must be tough and strong against the Czechs, but there must be certain limits. The terror cannot grow to such levels as to make the Czechs revolt. Because that would not be in their interests. “In the Ukraine, Reichskommissar Erich Koch ignored such a strategy. Because he was not only a fanatical Nazi, but he was also a primitive with no intelligence. 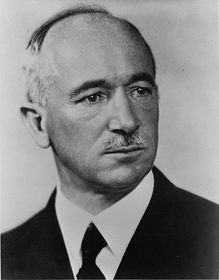 And because he pressed the Ukrainians, who at the beginning mostly supported the Germans [as liberating them from Stalinist oppression], and because he robbed them of all property so they ended up starving, and they were really hunting Ukrainians like slaves to be sent to Germany – then the people had no other choice but to flee to the nearest forest and join a partisan group. Either a communist partisan group, or an Ukrainian insurgent army, or something along those lines. Because they had to defend themselves and their families. Let’s shift to May 1945. Hitler is already dead. World War II is almost over across Europe. Except in the Protectorate. This becomes the last location where we see active fighting. We also have the Prague Uprising, and Czechs having the opportunity to openly vent against their Nazi occupiers. 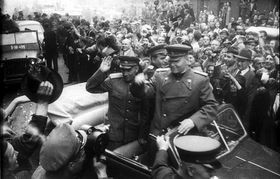 But, as is often the case in Czech history, it ends up tinged with tragedy because many people wanted the Americans to come in, and instead is it is the Red Army, which entered Prague. “First of all, it was not only the Prague Uprising. Because it started back on May 1 in Přerov in eastern Moravia. This then sparked off other uprisings moving westward – Olomouc, Nymburk, Lysá nad Labem, and on Saturday May 5, 1945 it started in Prague. There were, of course, military reasons, and political reasons. The military reason was that in the German plan, the Protectorate was to be the last fortress. The army of General Ferdinand Schörner was located here with more than one million men still available. 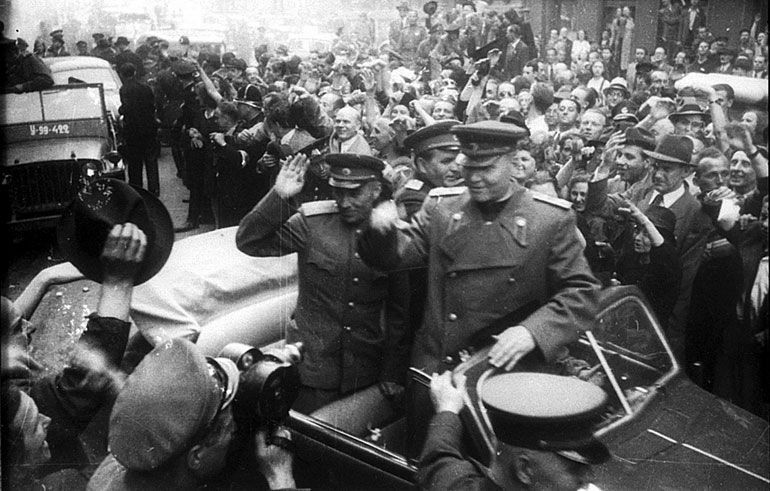 And after the death of Hitler, they simply wanted to defend this space against the advancing Soviet army. And, if possible, to move westward and to surrender to the advancing American army. 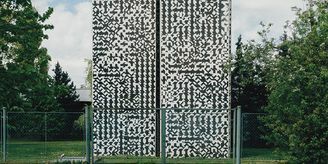 “To do this, they had to pass through Prague, because it is a communications centre. All main railways and roads connected through Prague. And that is why they wanted at any price to have it under their control. Of course there was also a political significance, because here we had a centre of resistance known as the Česká národní rada or Czech National Council [established in February 1945], which was a coalition of communists, socialists, trade unionists, and leftist Social Democrats. 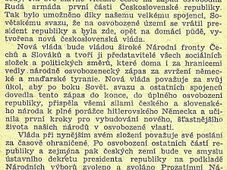 And these wanted to show at the end that the Czechs were fighting, and to provide some political support to the already established Czechoslovak government [now relocated from London] in Košice, eastern Slovakia. So the Czechs could have done it by themselves. Or were doing it by themselves? And was not going to go any further. And the rest, as they say, is history...Professor Jan Rychlík thank you very much for joining us.